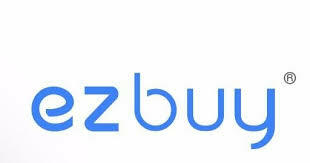 Subscribe to get deals from hundreds of merchants including the best of Ezbuy! Valid till 31 Dec 2019, excluding month of Nov 2019. Limited to first 300 users per month. Valid for purchases through desktop and mobile sites, and on ezbuy app. General terms and conditions.. Please always check with the merchant on the validity of the promotion before purchase. Valid till 31 Dec 2019, excluding month of Nov 2019. Limited to first 300 users per month. Valid for purchases through desktop and mobile sites, and on ezbuy app. General terms and conditions. Promo code: "SCONLINE". Limited to the first 400 redemptions per month. Promotion code is valid from 5 Nov till 30 Nov 2018 only.. Promotion code is valid only for Standard Chartered Credit Cardholders.. Promotion code is valid for payment made on ezbuy Desktop, App and Mobile Site.. Merchants and The Good Life® Terms and Conditions apply.. Please always check with the merchant on the validity of the promotion before purchase.